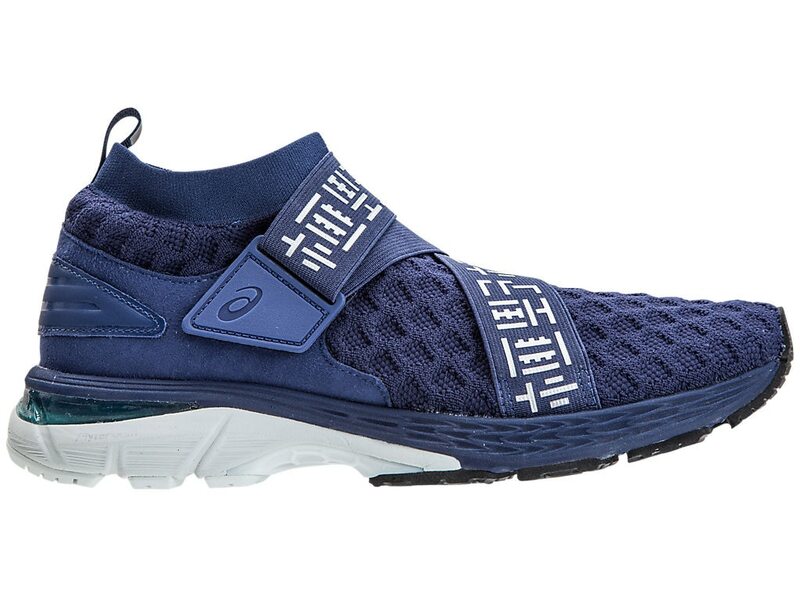 The GEL-KAYANO 25 OBISTAG receives a stylistically premium upgrade with a redesigned knit upper inspired by the belt of a kimono and the it hugs your feet and cushions the impact to make your last km as comfortable as your first. The shoe is packed with the newest FlyteFoam technology, it guides your stride and delivers all-day comfort in a silhouette that’s ready for the gym or the street. Upper technology combines multi-directional stretch mesh with stretch reinforcements that adapt to the athelete’s foot, creating a truly customized glove-like fit. Employs 45-degree full length SpEVA Foam 45 lasting material for a soft platform feel and improved comfort. Strategically positioned in critical areas of the outside, this exceptionally durable compound is 50% more durable than standard ASICS High Abrasion Rubber.